BATON ROUGE, La. 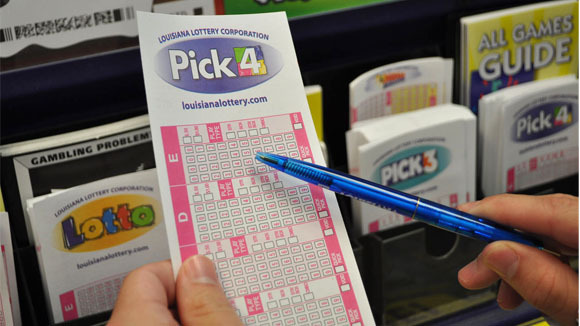 – The Louisiana Lottery Corporation announced that there will be no Pick 3 or Pick 4 drawings on April 21, Easter Sunday, in accordance with Lottery policy, although sales will not be affected. Pick 3 and Pick 4 drawings are conducted daily, except on Christmas Day and Easter Sunday. Tickets purchased after the draw close on Saturday, April 20 for these games will be good for the next regularly scheduled drawing on Monday, April 22. Advance plays on Pick 3 and Pick 4 will not be available for Sunday, April 21. Also, April 21 will be skipped on any Pick 3 or Pick 4 multidraw ticket, with the number of draws remaining accurately reflected on the ticket. In addition, Lottery offices will be closed on Friday, April 19 in observance of Good Friday; they will reopen Monday, April 22. Lottery ticket purchasers must be at least 21 years of age. For security purposes, players are strongly encouraged to sign the back of their ticket immediately after purchasing. The Lottery also encourages anyone who has a gambling problem or friends and family of anyone with a gambling problem to call toll-free 1-877-770-7867. More information about Pick 3 and Pick 4 can be found on the Lottery’s website, www.louisianalottery.com.